Professional Ghost offers an experienced, high calibre, ghost author service with more than fifty published novels behind it, including many bestsellers. The principal, Teena Lyons, is a respected journalist and author. She began her writing career writing for national newspapers, including Mail on Sunday, The Guardian and The Sunday Times and has been ghostwriting full time for more than a decade. 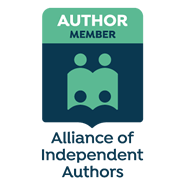 As well as accepting direct commissions, Teena also works with publishers and literary agents to ghost high quality books and ebooks for their clients. A ghost writer can take on the task of writing your complete book from scratch. Although this sounds complex, the process is relatively simple. The basic idea is to take your story and put it on the page in your ‘voice’ in a way that is both compelling and readable. This is done through a series of taped interviews that will then be transcribed and form the basis of the text. During the first interview, a ghost writer will help you create an outline of the range of the book and map out its basic structure. Crucially, a good ghost writer will be able to advise you on what will interest publishers and the all important reader. Once you have the plan, an agreed number of interviews will follow, where you will tackle the subject in more depth. This can take up to twenty hours or more, in bite-sized chunks of one to two hours. During the interviews, the ghost writer will use skills learned through more than a decade of interviewing celebrities and business leaders for national newspapers in order to draw out the best story. Questions are professionally structured to uncover the important facts, prompt the memory and properly understand the author’s point of view. All these details are invaluable in capturing the authors voice to write a compelling book. Finally, a first draft of the book will be presented for approval. This is your opportunity to make any revisions and ensure that everything is consistent and in the right order before the manuscript proceeds to the publishing stage. The short answer is, it depends. No two ghost writing projects are the same. The topic, its complexity, the amount of research required and the length of the book all contribute to the cost. If you have already secured a publishing contract, for example, a proportion of the ghosting fees will be paid for out of the advance. So providing you have a good book contract, the majority of the money will come from your publisher and not you. If there is not a publisher on board, Professional Ghost will charge a fee for the development stage preparing the initial chapter layouts and chapter drafts. If a publisher is secured, this fee would be deducted from the subsequent advance. The alternative is to consider a self publishing option. Again, Professional Ghost can help through its PG Press subsidiary and further information on this service can be gained from the publishing section of the website. Producing an interesting book that other people will want to read is most certainly a joint project between the ghost and the named author. It is, therefore, important that you both get along, understand clearly the obligations on both sides and what needs to be done. When you first contact Professional Ghost, it really helps if you can give some idea of the scope of your project, as outlined on the contact page. If it is something that Teena Lyons, or one of her ghost writers can help with, the next stage is an initial telephone chat, to discuss it in more detail. This is your chance to ask any questions about the ghosting process that have not been made clear on this website and for the ghost to get to know a little more about your aspirations for the book. If, following this conversation, both parties are keen to take things further, a face-to-face meeting can be arranged to go through the idea in more detail and agree terms of business. The meeting will be tape-recorded and could form the basis of the chapter-by-chapter book plan.